GRACE set up a project booth at the BBI Stakeholder Forum in Brussels at 6 and 7 December 2017. 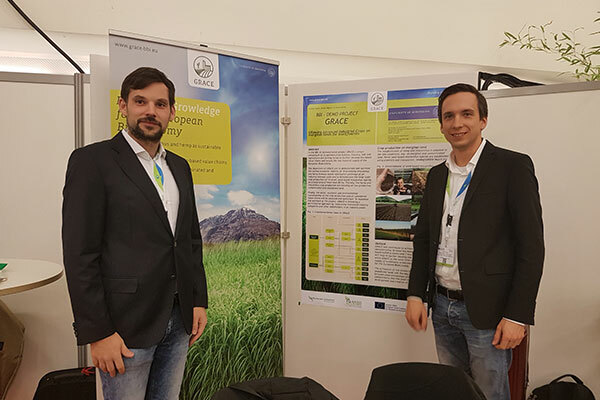 The GRACE project was represented at the BBI Stakeholder Forum, held in Brussels from 6 – 7 December 2017, by Andreas Kiesel, Moritz Wagner (both University of Hohenheim) and Roberto Petrillo (Novamont), who set up a project booth. The forum provided an excellent opportunity to learn more about and to get in touch with the other 67 BBI projects.